Counter-Strike plus drivable cars, customizable bases, and lots and lots of sand? This is no ordinary custom map. 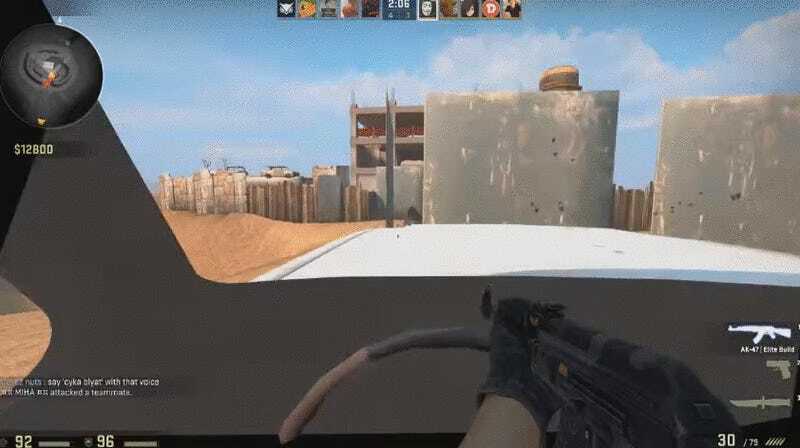 RealFreemanTV posted a teaser of CTX and Jarro’s CSGO: Truck Wars map, which they describe as an homage to Mad Max. It definitely looks the part. Basically, the goal of each match is to fortify your base and then lead an assault on the other team’s slice of desert paradise using all manner of cars and trucks—some of which have cute little teeth painted on the front. Fun! It’s an impressive-looking project. There aren’t any release details yet, but it seems decently far along. I’ve asked for more information, and I’ll pass along whatever I hear.